I think Spring has finally sprung and it’s about time to start your herb and vegetable gardens. We will have plenty of fresh herbs and garden plants available this weekend. We have basil, dill, parsley, cilantro, oregano, thyme, sage, tarragon and rosemary. Kenny also has a variety of other plants including tomatoes. I will also have some great Mother’s Day gift ideas available. 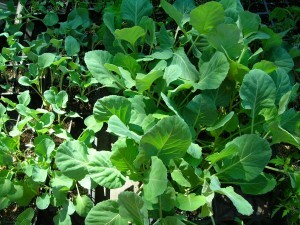 This week we will be taking orders for the greens we have available… baby lettuce, spinach, and kale. Kenny should have some radishes again this week. Just a reminder that we have been selling out early each week… so come early or pre-order to make sure you get the items you need. Don’t forget to pick up your farm-fresh, free-range eggs at the market; we have quail eggs available as well. I plan on having some of my Strawberry Balsamic Jam and Spiced Blueberry Jam at the market Saturday.